We’d love your help. Let us know what’s wrong with this preview of The Extremely Epic Viking Tale of Yondersaay by Aoife Lennon-Ritchie. This winter, siblings Ruairi and Dani Miller visit their ancestral homeland: the legendary Viking island of Yondersaay. Even with Granny Miller's storytelling to pass the time, the pair manage to find trouble. In less than twenty-four hours of their arrival, Ruairi is mistaken for the lost Boy King of Denmark, kidnapped by Vikings, and scheduled to be sacrificed at sundown This winter, siblings Ruairi and Dani Miller visit their ancestral homeland: the legendary Viking island of Yondersaay. Even with Granny Miller's storytelling to pass the time, the pair manage to find trouble. In less than twenty-four hours of their arrival, Ruairi is mistaken for the lost Boy King of Denmark, kidnapped by Vikings, and scheduled to be sacrificed at sundown. Granny isn’t very pleased. To ask other readers questions about The Extremely Epic Viking Tale of Yondersaay, please sign up. This is definitely a quick read for the middle grade child who loves adventure! It's a cute story richly woven with Viking history and myths and legends, and magic just believable enough that it feels as if it might be real. Ruairi and Danni were marvelous, but Granny really stole the show for me as the obstinate, spry old woman that was full of stories and a joy to be around. So basically what I would like to be if I got to be I received a free copy of this book in exchange for an honest review. This is definitely a quick read for the middle grade child who loves adventure! It's a cute story richly woven with Viking history and myths and legends, and magic just believable enough that it feels as if it might be real. Ruairi and Danni were marvelous, but Granny really stole the show for me as the obstinate, spry old woman that was full of stories and a joy to be around. So basically what I would like to be if I got to be that old. The only complaint that I have is the ending felt so sudden. Silas had been searching for Odin's treasure for years and years, and it all seemed very anticlimactic when everyone went back home to wait for Christmas morning and for everything to turn back to normal. However, I really want to be on Yondersaay for Christmas Eve. Who doesn't want to become a Viking for one day?! Mystery and danger, adventurous and fast-paced, The Extremely Epic Viking Tale of Yondersaay was a great story that was perfectly written for someone about my age – 10 and in 5th Grade. I loved learning more about the Vikings and their myths and legends. I had heard some of the names like Odin and Thor and Loki before and it was exciting to hear more about them. The story was exciting because the kids were fun and about my age. It took me a while to practice pronouncing the brother’s name – Ruairi, Ruairi, Ruairi. Dani and Ruairi’s Granni made me laugh. My Grammie is kind of like her. I liked that it wasn’t just a BOY story because girls sometimes get left out. The author did a great job making Dani just as important as Ruairi. I loved how much I wanted to keep reading the book. I mean, I read and I read and I read because it was that exciting. Sometimes there was a word or two I did not know but I could look it up or ask my mom if I could not figure it out. The author did a really great job in my opinion. I think both boys and girls of my age or older would really love this book and should read it. With a title like “The Extremely Epic Viking Tale of Yondersaay,” this book had quite a bit to live up to, and I must say that it certainly managed tried its best with a fun story, fascinating characters, and unique plot twist that I definitely see coming. Siblings Ruairi and Dani and excited to be spending the Christmas holidays in Yondersaay with their great-great-great-grandmother, or as everyone calls her, Granny. On the long journey to Yondersaay, their Granny begins to entertain them as well us readers with stories from Yondersaay’s past and of King Dudo and Odin. She continues these stories throughout the entire first part of the book and I found them to be quite interesting. They are interspersed throughout the day to day comings and goings of the family and Granny frequently gets distracted when telling them by other things she mentions in the story which occasionally leads to an unrelated tangent that the children must put a stop to and get her back on track. Having a grandparent who tends to do that herself, I could completely relate to the kids at that point and I fell a little bit in love with Granny as she made me miss my own Granny. Granny was easily my favorite character, however, her frequent stops and starts and the time between the stories (when daily life was going on as usual…although I understood the point of this in the second half…won’t say more because it could spoil it) at times made the stories confusing and difficult to follow and keep up with. But through her storytelling, we got to know Granny and her quirky personality shined through. In the second part of the book, the children and Granny have woken up to a changed Yondersaay on Christmas Even Morning. They must figure out what is going on with their neighbors and also, eventually, Granny and Dani must rescue Ruairi when he is taken and figure out why Dani and Ruairi’s mum is acting strangely. The second half of the book is more of a race against time/adventure for the siblings and Granny than the relaxing story time the first half was…and I kind of enjoyed the first half a lot more for some reason. I just can’t quite put my finger on why exactly. As for the Dani and Ruairi, I loved the relationship and bond between the two siblings. Born less than a year apart they are practically twins. True they squabble just like brothers and sisters do, but they truly love each other and would be lost with one another, which is evident as you read the story. Children who read this book might recognize themselves or their own sibling relationship in this story, which is a great thing and wonderful way to be able to relate to the characters. A very tall, fanciful tale about being told an ever taller, more fantastical tale. A fun adventure for kids age ten and older about a family trip, mystical history, buried treasure and "a bloody, oozing, murdered body." With some age appropriate romance thrown in, such as fairy tales require. Much of the story takes place in a colorless Crimson Forest without trees in a land that no one can find. A story about relationships, including those within a family. Granny says over and over that this is A very tall, fanciful tale about being told an ever taller, more fantastical tale. Granny says over and over that this is a real story, although often it seems like she and Mum are making it up as they go. Real stories don't always have happy endings. Stories can take your mind off present worries or push back boredom. Can they save the day when you are in danger? As the absurdity escalates even as time seems to be running out, the ridiculousness increases also. Bloody brilliant. Sharp and funny, and perfectly pitched to the age group. This was a pretty decent book. I won't say it was excellent but it was definitely entertaining. In a way I would compare it to A Series of Unfortunate Events, though I did enjoy this more. A good choice for middle grade readers who love fantasy and fiction. *I received a copy of this book for free. The review is my own, honest, and unsolicited. I enjoy Middle-Grade books. I think they’re fun, exciting, and I really like it when I find an author who writes well for the age group. As for THE EXTREMELY EPIC VIKING TALE OF YONDERSAAY, I really, really wanted to get into this one. I mean, who doesn’t love a great Viking tale, but try as I might, this one fell short to me. The beginning of the book was cute, with a funny scene involving our two main characters and a teacher and a few birds. I got a good laugh and was prepared for an entertaini I enjoy Middle-Grade books. I think they’re fun, exciting, and I really like it when I find an author who writes well for the age group. The beginning of the book was cute, with a funny scene involving our two main characters and a teacher and a few birds. I got a good laugh and was prepared for an entertaining adventure. Unfortunately, it didn’t come. 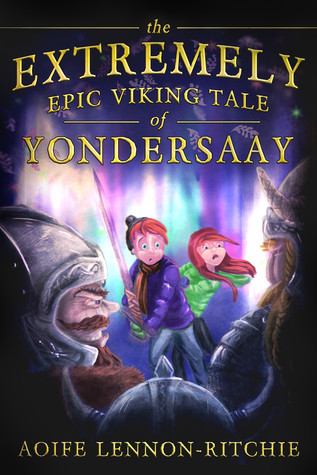 What could have been wildly entertaining with larger than life imagery turned into a narrative, with Granny telling this epic Viking tale to two children as they make their very long journey to Yondersaay. I had to start the story several times as the writing felt jarring to me. It seemed Granny’s story went on for hours and hours and hours, and there was no action. It was simply a narrator telling a story. I think it would have been much better if this book had been divided into 3 parts. Part one could have been the actual story that Granny narrates. I think that would have been much more exciting and interesting way to learn about how these characters would fit into the rest of the book. I would have grown to know them and love/hate them first hand. Part 2 could have picked up with the present day and the kids and Granny and mom and dad and their trip to Yondersaay. The 3rd part would have been the ending with everyone on Christmas day. As it is, I never really gravitated to any character and the plot moved incredibly slow to me. There were moments of brilliance and clarity, and at times I saw greatness in the writing. But the kids’ names were difficult to pronounce and I found myself wondering if young children would stumble over them. As for the plot, it took a long time to develop one, at least five chapters, maybe more. Things started to move along once the family arrived on Yondersaay, but that urge, that desire that I HAD to keep turning the page never came. I loved the weaving of the tales of Odin. Some of the imagery was spectacular. The story itself wasn’t bad; it just didn’t pull me in and engage me like I’d hoped. I also found the ending a bit sudden and anti-climatic, though the last paragraph of the book was written beautifully and I loved the image. It actually gave me goosebumps. I’m sure there will be kids out there who will love this story, so don’t let this review deter you from getting a copy and reading for yourself. It really was an okay tale. It simply wasn’t what I’d hoped for or expected. Aoife Lennon-Ritchie is an Irish writer and actor. She lives in Cape Town, South Africa with her husband and two children. She is only one sixteenth Yondersaanian, but she has red hair and white skin so is often mistaken for a full Yondersaanian. If you would like more information on Yondersaay, or to go to the island over the school holidays, try emailing the Shetland tourist board, the Yondersaa Aoife Lennon-Ritchie is an Irish writer and actor. 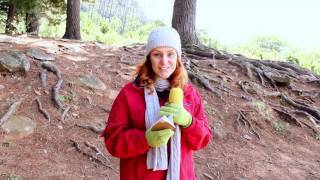 She lives in Cape Town, South Africa with her husband and two children. She is only one sixteenth Yondersaanian, but she has red hair and white skin so is often mistaken for a full Yondersaanian. If you would like more information on Yondersaay, or to go to the island over the school holidays, try emailing the Shetland tourist board, the Yondersaay tourist board, and the Scottish tourist board and ask to be invited to Yondersaay.